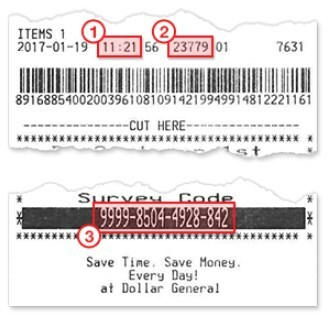 Recently shopped at their store and want to take the Dollar General Survey? You’ve come to the right place. 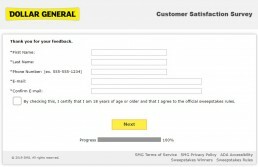 Find out exactly how to take the DGCustomerFirst com survey for a chance to win a $100 Dollar General Gift Card. Do Others People Like Dollar General? 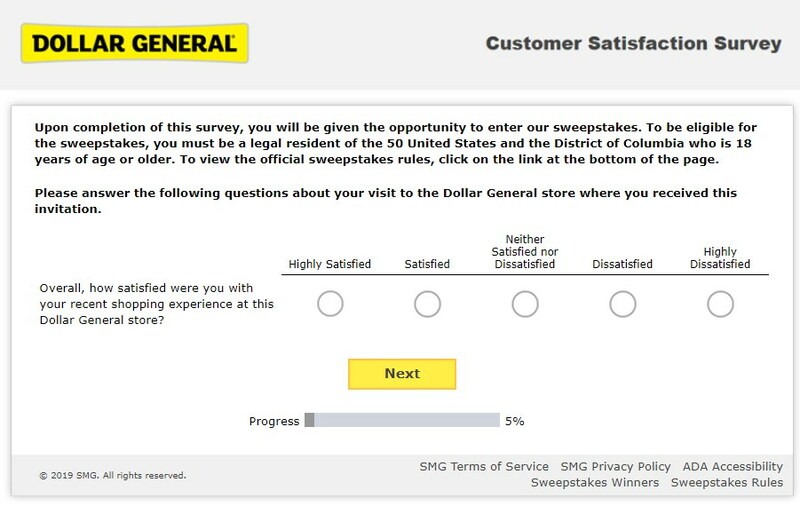 Dollar General is hosting a customer satisfaction survey because they want to improve the shopping experience next time. 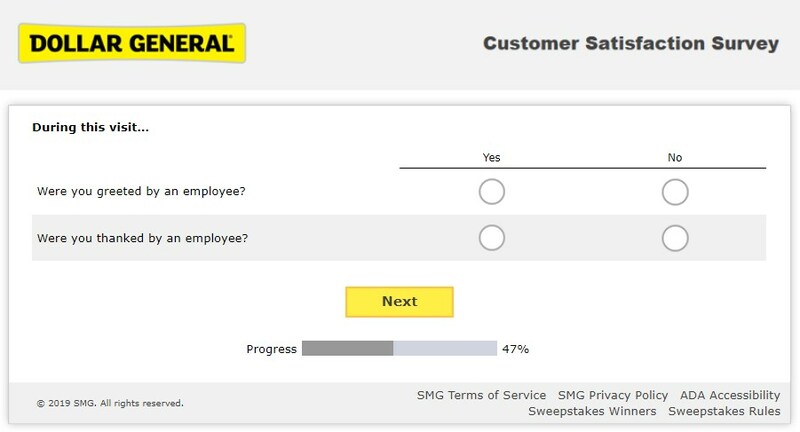 As such, their survey team only wants responses from verified customers. Note: You don’t need a receipt to enter the sweepstakes. Keep reading on how to enter the $100 Gift Card competition without one. What was your satisfaction level with the speed and ease of checkout? How friendly were the employees on your visit? Were you happy with the quality of products available at this Dollar General? How many times have you visited this particular Dollar General store in the past 30 days? Is it likely that you’ll recommend this Dollar General to family and friends? How likely it is that you’ll come back and shop here in the next 30 days? Is there anything else Dollar General can do to improve your shopping experience? Dollar General is a discount chain operating in 45 of the lower 48 states. Unlike the name suggests it’s not really a dollar store, where everything costs a buck or less, but they do like to keep prices low and offer everything from food to shampoo and even socks. Nowadays they advertise that around 25% of their stock is priced at a dollar. 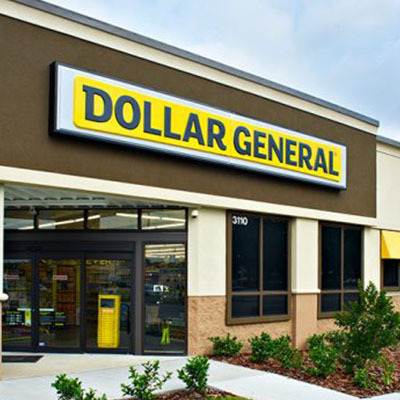 You probably already know this, but tell your friends to keep this in mind if they plan on visiting a Dollar General store otherwise they’ll probably head to DGCustomerFirst com and leave some pretty negative feedback. The company was founded 80 years ago back in 1939, though back then it was called J.L Turner and Son. It wasn’t until 1968 that all their stores became known as Dollar General. The company was originally owned by James Luther Turner and his son Cal and their first store was in Scottsville, Kentucky. James had a pretty rough childhood and left school at just 11, after his father died, so he could earn money for the family. He went on to become a pretty successful businessman. During the Great Depression, he began purchasing bankrupt general stores cheap and then selling them off for profits. By 1939 James and his son had pooled enough funds ($5k each) to open their own store. By the 1950s their stores were racking up a hefty $2million each year and in the mid-50s they owned around 35 department stores in just 2 states! The idea for a dollar store came around the same time… They held special ‘dollar days’ in their department stores where they would sell items for a buck and they proved to be super popular. 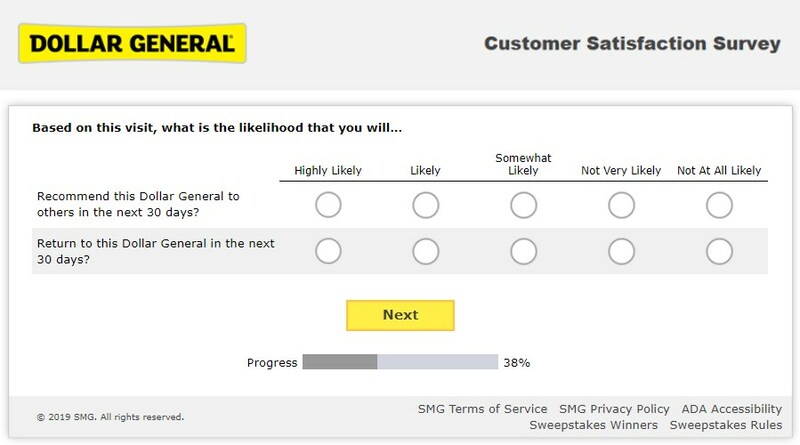 I reckon if the Dollar General survey was around back then they’d be receiving 5 stars from all the shoppers. 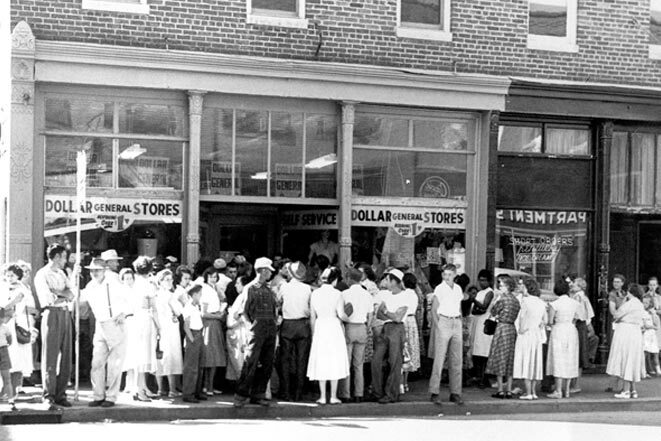 1955 saw them open their first Dollar General store in Springfield, KY. At that point, everything was $1. When James passed away in ’64 he left the whole company to his son. In 1968 the company went public and in ’77, Cal’s son, Cal Jr. became president of the company until he retired in 2002. While he was with the company, they expanded to 6,000 stores across the country. Since 2003 they have grown to over 15,000 stores across the USA. That’s one astronomically large number of stores!! 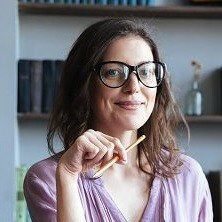 For those of you that shop in the store often, you’re probably familiar with their cheap and cheerful own brand, DG. What you might not know, however, is that back in 2010, they managed to outbid luxury fashion retailer Dolce and Gabanna on the webpage “dg.com”. Kinda funny that the cheap store won over the crazy expensive brand! We’re sure the folks over at Dolce and Gabanna were quick to hop onto the DGCustomerFirst.com survey site and let them know how frustrated they were. The company is super community focused, aside from making shopping ‘simple and affordable’ they want to support the local neighborhoods they are based in. Specifically, in terms of literacy and education. They set up the Dollar General Literacy Foundation which helps improves the literacy skills of people of all ages. They give grants away to local non-profits who are within a 20-mile radius of a store every year and so far, have donated around $160 million. This year marks their 20th anniversary of the foundation. 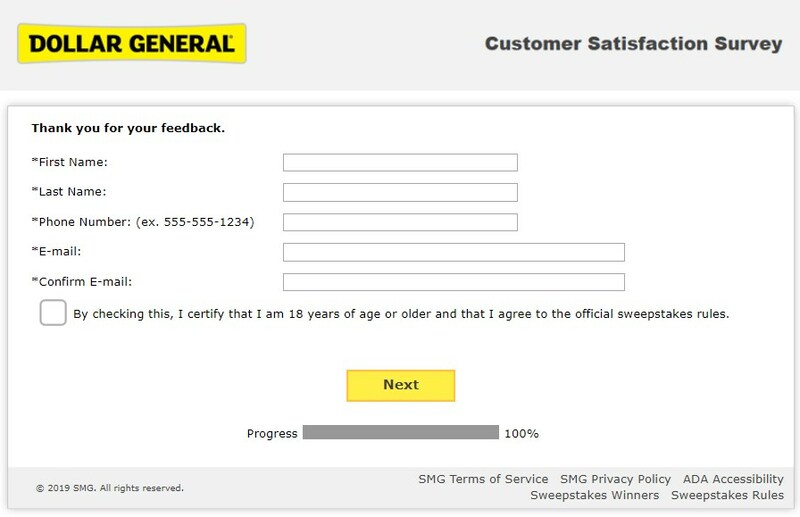 Their community efforts are definitely one of the things I really admire about them (and I made sure to include this when I was taking the Dollar General Customer First survey – you should too! More companies need to focus on giving back to the community they operate in). They have some very big plans up their sleeve for 2019, aiming to open another 975 stores and renovate a further 1000. They’re also looking at relocating 100 of their existing stores to make way for bigger and better things to come. 2019 looks like an exciting year for them! Have some suggestions on improvement Dollar General can make? Tell them on their DGCustomerFirst Survey! Do Other People Shopping Like Dollar General? Or, you can read their online FAQs to see if your question has already been answered. Otherwise, you can send them a message on their website. Lastly, you can use their store locator to find a Dollar General near you and contact them directly.